The must-have item for this week is definitely the Exotic shotgun ‘Invective’. The great thing about this specific weapon is that it can regenerate ammo over time, giving players access to unlimited ammo. 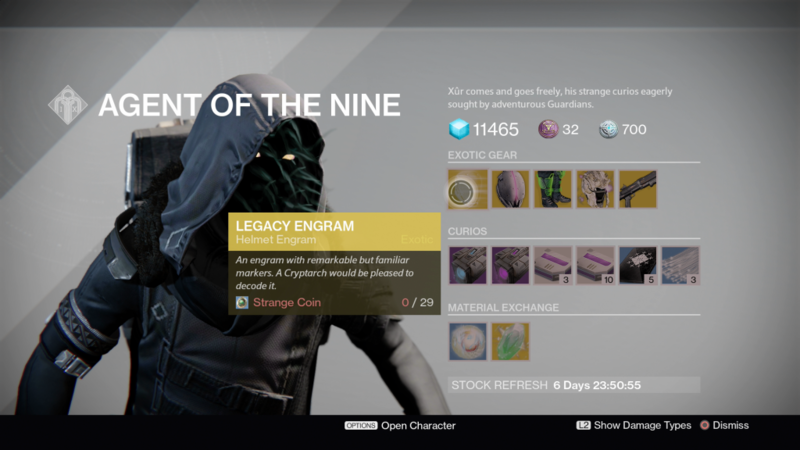 Let us know how you think of the Exotic items Xur is selling this week, and also whether the Invective is the weapon you will surely buy this weekend. Stay tuned for more news on Destiny and Destiny 2.